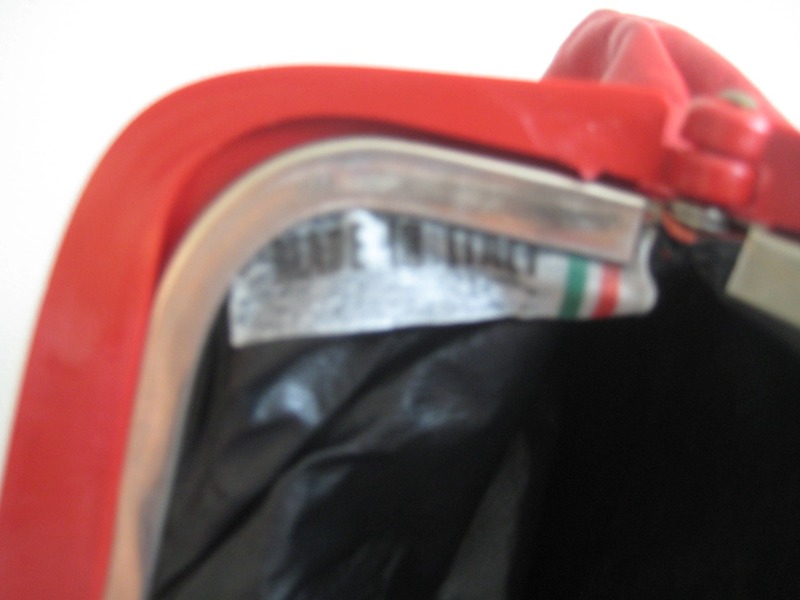 Bags are rarely made in Italy anymore. 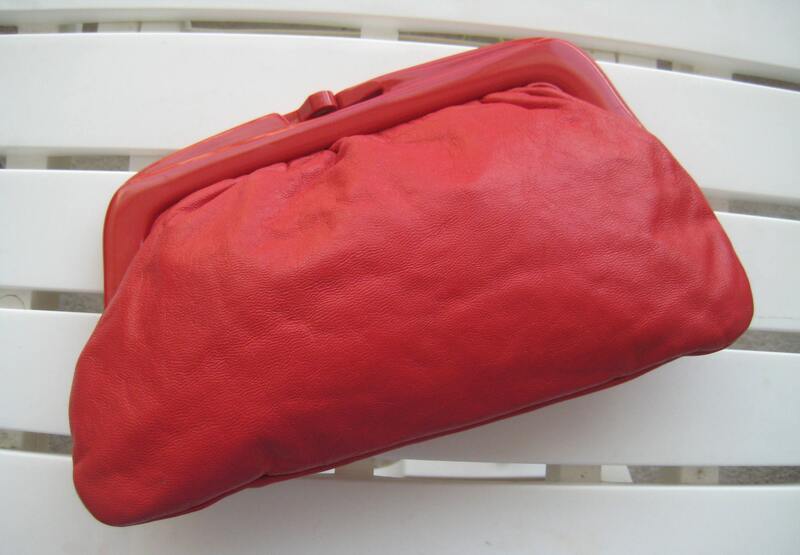 Grab this red leather vintage clutch - such a nice bag with matching red Lucite frame. Kiss-lock closure. 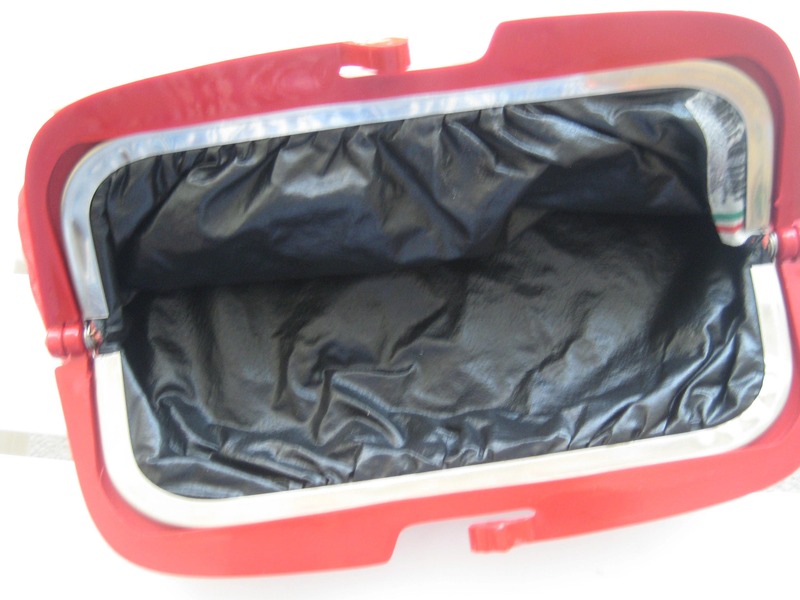 The bag is fully lined with black vinyl - wipe clean fabric. Inside interior marked "Made In Italy" as shown. 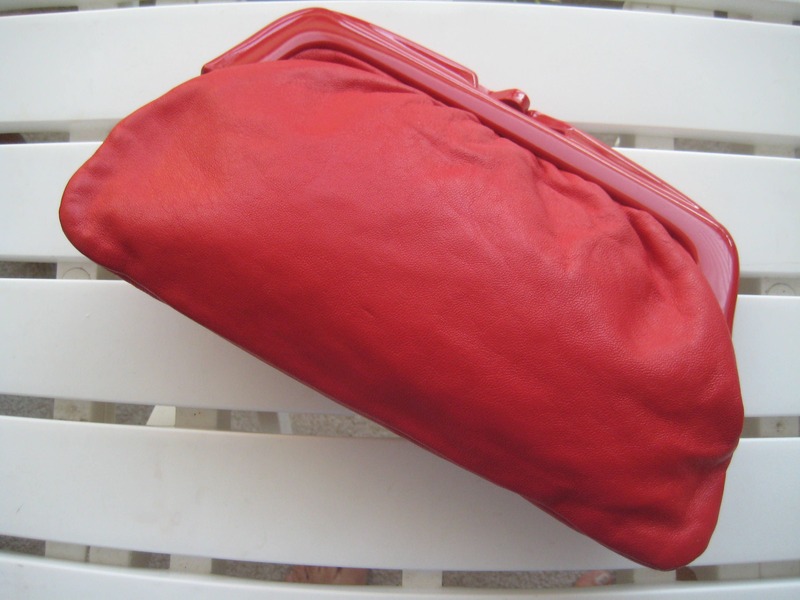 Soft leather clutch with plenty of room to hold essentials. Made with Italian style. Dimensions: approx. 10 inches long, 7 inches high.